*Dependent upon eBooks selected, additional supplement may be added. From Hair & Beauty, to Vehicle Maintenance, you can create a bespoke collection of eBooks to support your teaching. 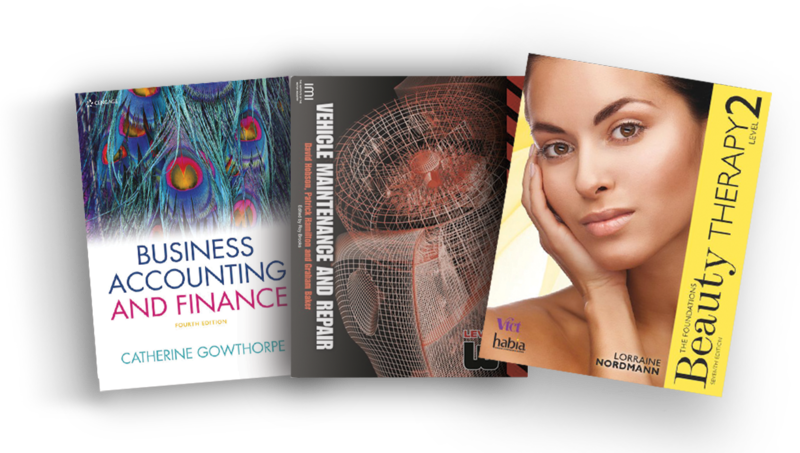 From Hair & Beauty, to Vehicle Maintenance, as well as Business and Marketing you can create a bespoke collection of eBooks to support your teaching.